Charlotte Tilbury x Norman Parkinson Collection | Top Beauty Blog in the Philippines covering Makeup Reviews, Swatches, Skincare and More! In this unique collaboration, Charlotte Tilbury has teamed up with the Norman Parkinson archive to create a makeup and accessories collection, dedicated to and decorated with the legendary British fashion photographer’s iconic images. The collection includes a new Filmstar Bronze & Glow - Suntan & Sunlight, Colour Of Youth - Lip & Cheek Colour, Dreamy Glow Highlighter, Matte Revolution in Miss Kensington, Matte Revolution in 1975 Red, 'On Call' Makeup Bag and The Bathing Beauty Bag, as well as two new & exclusive looks, Miss 1975 and Miss Kensington, inspired by Parkinson's timeless photographs. Charlotte Tilbury x Norman Parkinson Filmstar Bronze & Glow $80.00 USD - This cream texture, contouring palette duo is inspired by the natural fall of sunlight and shade on the face and is designed to slim, sculpt and highlight your features, creating a naturally glowing complexion. Parkinson’s ability to capture light hugely influences how Charlotte thinks about makeup and Filmstar Bronze & Glow (Sun Tan & Sun Light) captures the youthful, soft-focus lens of his camera, giving you perfect summer skin – a golden glow that enhances your facial framework. The cream textures have a fresh, dewy finish that is perfect for summer. Charlotte Tilbury x Norman Parkinson Colour of Youth $58.00 USD - Charlotte created the Colour of Youth blusher as part of the Charlotte Tilbury x Norman Parkinson collection. It is the colour of love, youth, and happiness, inspired by the love story of Norman Parkinson and his wife Wenda. It emulates the delicate, rosy hue you see in young, innocent, and fresh cheeks, but that can be lost with age. 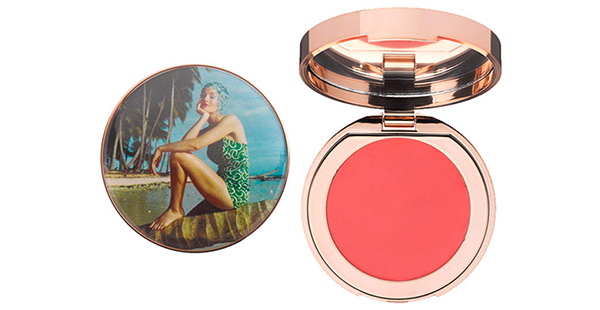 With this blusher, you can now paint the youth back in. It looks best when it is expressed through a tint of a tan. 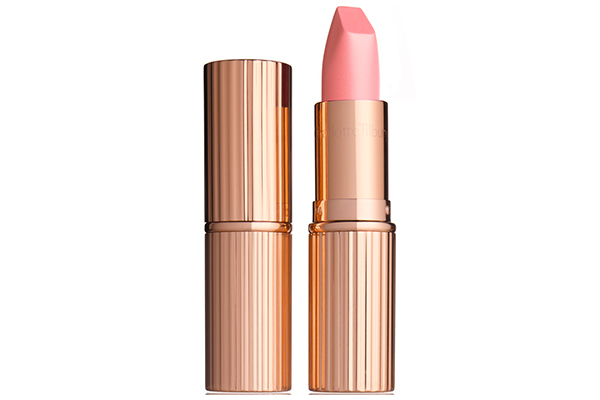 This pretty pink hue for lips and cheeks works with all skin tones. 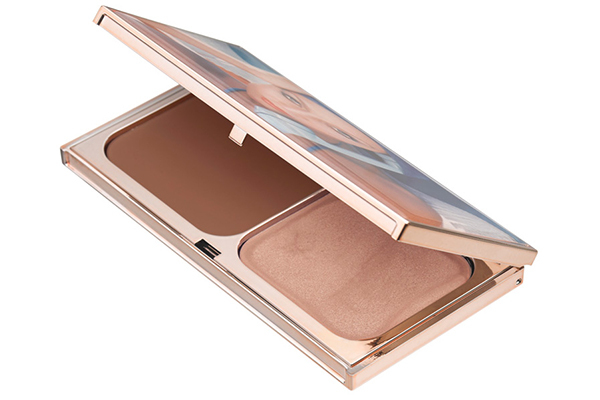 Charlotte Tilbury x Norman Parkinson Dreamy Glow Highlighter $65.00 USD - Charlotte created the Dreamy Glow Highlighter as part of the Charlotte Tilbury s Norman Parkinson collection. 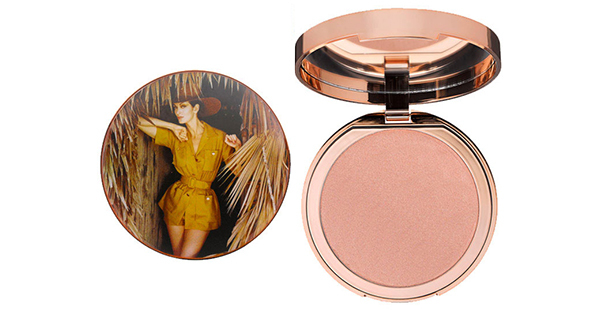 It is a soft, mood-lit Youth Highlighter that creates ‘peaches and cream’, dreamy skin. It’s the perfect blend of pearl and pigment to enhance your complexion, scattering light and opalescence across the features, transitioning skin from winter to golden summer in one easy swipe. With golden, mother-of-pearl tones, this highlighting youth powder uses light flex technology to capture light and radiate it out across the skin, for a dreamy soft-focus effect. 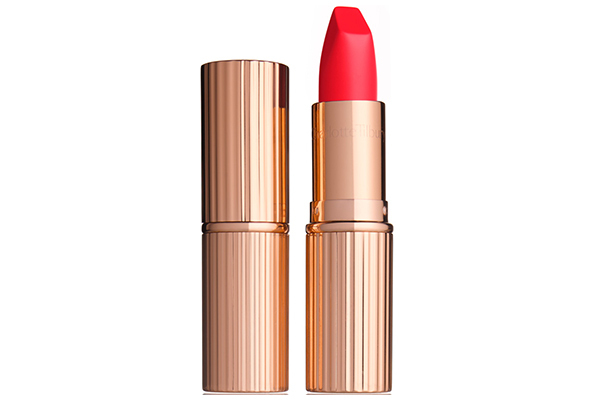 Charlotte Tilbury x Norman Parkinson Matte Revolution 1975 Red $32.00 USD - The classic ‘70s sunset red captures the fun, naughty, and glamorous mood of the decade. It is inspired by Jerry Hall’s Jamaica Blue & Beautiful, British Vogue cover from May 1975, shot by Norman Parkinson. The tone of this Lichtenstein Pop Art shade is made relevant for today with a modern, fresh and chic matte texture. It is perfect with bronzed skin and a summer glow. Charlotte Tilbury x Norman Parkinson Matte Revolution Miss Kensington $32.00 USD - This dreamy rose petal shade is inspired by the quintessentially English, ‘haughty but naughty’ girls of the swinging ‘60s in Chelsea and Kensington and the pastel hues in Norman Parkinson’s pictures of his muses: Audrey Hepburn, Twiggy and his wife Wenda. It’s a pretty, English-rose pink that works well on fairer skin tones and perfectly embodies that era but in the most up-to-date, long-lasting formula. Charlotte Tilbury x Norman Parkinson 'On Call' Makeup Bag $45.00 USD - The perfect cosmetics bag to house your summer makeup collection. 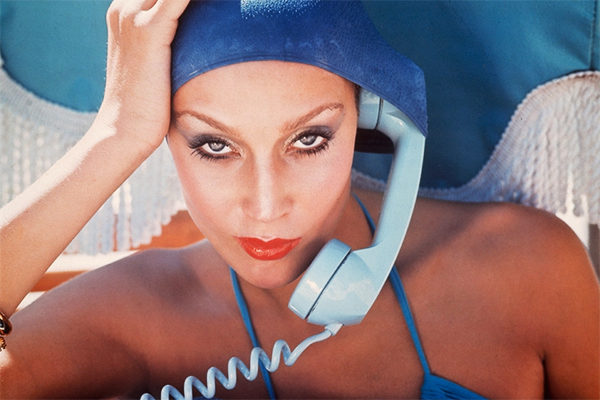 It features an iconic image of Jerry Hall, shot by Norman Parkinson for British Vogue, on Montego Bay, Jamaica in 1975. Charlotte Tilbury x Norman Parkinson The Bathing Beauty Bag $80.00 USD - Charlotte has always loved this image – it’s classic 1970s Norman Parkinson glamour. At the time, shooting in the Soviet Union was prohibited, so Parkinson shot Jerry in secret. 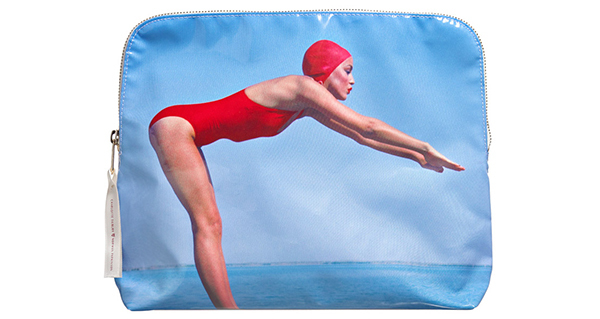 The shot has an incredible, composition, which works perfectly on the Bathing Beauty clutch-come-wash bag. It’s what Charlotte calls a 24-hour bag. Your ideal companion to makeup, party, sleep, repeat with! how interesting that Parkinson shot Jerry in secret. That bathing beauty bag looks amazing! In fact, the pacaking of all of these beauty products is phenomenal. I am totally I love with the packaging! Perfect post, I love your style of writing! Keep going! Nice products! Thanks for sharing, post is perfect. Excellent bag! I love it! Have a good start of the week!!! Never tried this makeup line...they all look good. The packaging is too cute ! This range is stunning, and i think i will be picking up more than one item from it! Do you know how long this range is available for? Dear, thanks a lot. Amazing post. Love your blog a lot! Wanna these blush and pink lipstick! What a beautiful and original collection! great collection, love the lipstick! Nice lipstick shades, cool campaign. Nothing better than a bright lip for summer! Those lipsticks are gorgeous. Great post! I love this campaign!!! Very retro style and I love it, products are the best!